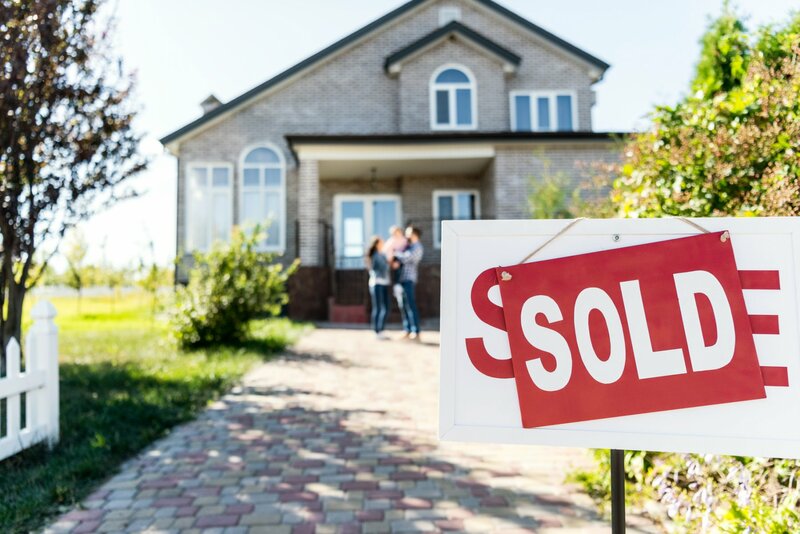 Deciding to sell your house can be an exciting move. It comes with so much possibility and potential for change–and isn’t it so exciting to think that the house you’ve loved so much will be loved by a whole new family?! Your realtor comes and you’re on top of the world. Whether you’ve decided to build, or you’re in the process of purchasing a new home yourself, everything is new and exciting! The bad news is that your house could be sitting on the market for an agonizing amount of time for any number of reasons. The good news is that, for most of those potential reasons, you can fix them pretty easily and get your house sold! Sit back, relax, and out these 10 reasons your house isn’t selling. This is a mistake most home sellers make sooner or later. You’d love to sell the home for a whopping profit, right?! So make it happen! Listen to your realtor. Lower your price, even a little bit. You won’t dupe buyers into paying too much. You just won’t. Your buyers are smart and they deserve to purchase your home for a fair price. Speaking of “duping the buyer,” another common mistake made when in pursuit of that “SOLD” sign is rushing through the listing of your home. These thought processes are a mistake! Your listing is not a place to cut corners–think of it as your 24/7, ever-present salesman. Buyers can pull up your listing at any moment. It’s likely to be the first interaction they have with your home. Make it a good one. Hire a professional. Bad photos and a poor listing will never sell your home. Another reason your home may be spending a bit too much time on the market is that it’s…well, unique. A unique home isn’t a bad thing! But it does sometimes mean that your home may take a bit longer to find the right buyer. Because your home doesn’t fit the basic mold of the houses that are in-trend or are generally more familiar to the market, it’s only natural that you’ll have to wait a little while for a buyer to come along and love your home as you have. If possible, you may consider de-personalizing your home a touch. You know those weird cabinet handles you had installed? And that super-off-the-wall light fixture? Think about taking those things down and replacing them with less-personal touches that might appeal to a broader range of buyers. 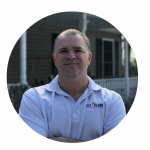 If you thought it’d be fine to list your home with the laundry room door held on by 1 hinge, with your roof essentially sliding off, with that huge hole in the living room wall, think again. While some problems in your home are things you’ve learned to live with, they’re not things buyers will be willing to pay for. It’s important not to stick your home’s new, excited owners with a well of problems you knowingly covered up. And remember–a home inspection is likely to take you down for many different issues! Step back and consider the problems in your home. Fix as many as possible and highlight the pride in ownership you’ve poured into your home. Even if there’s not a huge pile of gaping problems, it might be time to step back and look at the general cleanliness and wear of your home. Has it seen better days? If so, it may be time to bring in the professionals; have walls rolled over with a fresh coat of paint, have everything deep-cleaned until it sparkles like new. Bring in a professional cleaner to scrub and polish the whole place. Just because you’ve vacuumed and wiped down the kitchen counters doesn’t mean your home is gleaming enough for buyers to die for! And, sometimes, when we talk about the cleanliness of our homes, we’re not even talking about the sorts of things Windex and bleach can fix. Is there a chance that your home feels too cluttered? Remember, when potential buyers enter your home, they want to visualize themselves living there. If your home is crammed with too much stuff, with unorganized documents and piles of things without a place to store them, buyers will leave feeling stressed and overwhelmed. You’re already planning to move out; begin by removing certain pieces of furniture and belongings from rooms that have too much. Leave your home feeling organized and comfy, so potential buyers will find it easy and enjoyable to imagine themselves living in your nice, organized home. Speaking of which: If your home is taking a long time to sell, it may be time to consider how your home has been staged. Staging is the act of arranging your home’s furniture and decorations so it’s most appealing to buyers. Although you may have those two ugly cords running across the room from the TV, when you stage your home, you’ll tuck those away. You’ll move your children’s toys to the storage room in the basement and take down any unsightly decor. Your staging should be intentional and comfortable. It shouldn’t be overwhelming or illogical. It should make potential buyers feel at home in the space. If you did your staging on your own, it’s important to at least ask your realtor for advice. Consider calling in a staging service or an interior designer to turn things around. This ties into ideas of your home being too “unique,” and also to the concept of poor staging. It’s important to remember that you’re setting your home up to be purchased by someone who’s…well, not you! If you’re listing your home, it’s probably time to take down the overwhelming amount of photos of your family. It’s time to replace your bold personal decorating choices with neutral, universal ones. Staging your home in too personal of a way can make potential buyers feel as though they’re intruding on someone else’s space–not touring their future home! The last thing you want is for potential buyers to walk in and feel uncomfortable. Curb. Appeal. Curb. Appeal. Curb. Appeal. Should we say it again? Curb. Appeal. Okay, it’s out of our system. Consider curb appeal to be an act of staging for the outside of your home. When potential buyers find your listing and rush out to drive by your house thinking they’ve found the one–only to pull up and find a sad yard and a few dead bushes….sigh. Even if it’s an improvement as simple as having the driveway cleaned, planting a couple of fresh shrubs, or edging the sidewalk, it can make a huge impact on your home’s overall attractiveness, and on buyers’ desires to get inside! Spend some time on your home’s curb appeal. First impressions matter. It can be really difficult on an emotional level to sell your home. Lots of buyers tend to sort of smother their real estate agent. This, in turn, stops lots of realtors from doing their job as well as they could. Things like showing up at your own open houses or intercepting buyers as they leave a showing are totally bad ideas. It’s important to let the process of buying be left to the buyers. It’s also important to take the advice and information your realtor gives you to heart. Remember, your realtor may be the only person who wants your house to sell as badly as you do! Your realtor is on your side, and it’s important to respect their expertise as they help you on the road to closing papers. Step back and let your realtor work their magic. And remember: Your home will sell. 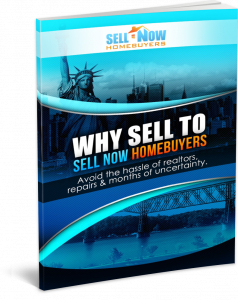 So…Why isn’t Your House Selling? If you’ve got through each of these 10 culprits that are infamous for stopping a house selling and decided that none of these reasons could possibly fit your case…go through them again. Really consider each point. Talk with your realtor. If you find yourself certain you’ve done everything right, but look out front to find that “FOR SALE” sign in the yard for the 3rd month in a row, try not to worry. Keep doing your research and check out our page!